High speed water coaster is based on the popular Ben 10 alien, Humungousaur. Thailand’s first internationally branded water park – Cartoon Network Amazone – is on track to open in the first half of 2014 – featuring a special high speed water coaster based on popular Ben 10 alien, Humungousaur. The Humungaslide is part of The Omniverse, one of ten themed zones at Cartoon Network Amazone, the world’s first Cartoon Network water park. It is located in coastal Bang Saray, Thailand. The Omniverse zone features six high speed water coasters, towering as high as 23 metres in the air. On the Humungaslide, two rafts race each other in circular slides, speeding through twists and turns before being dropped eight metres into the clutches of Humungousaur. Liakat Dhanji, chairman and CEO of Amazon Falls, the developer of the water park, said: "We’re proud to be bringing the vibrantly animated world of Cartoon Network to the people of Thailand and visitors from around the world. It’s the number one kids’ channel in Asia Pacific, and now fans are going to get to experience all its incredible series and characters in ways they never dreamed." 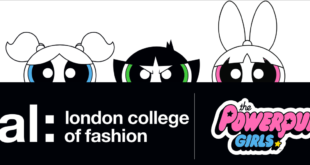 Sunny Saha, SVP and MD, South East Asia Pacific and general manager, kids networks, Asia Pacific, for Turner International Asia Pacific, added: "This is an ultimate day for the Cartoon Network brand. It’s an incredible feeling to be here in Thailand and see the world’s first Cartoon Network water park taking shape. It’s going to be an awesome adventure for our fans everywhere."